There are two major design methodologies followed in data warehousing Ralph Kimball and Bill Inmon.We will discuss about both of these in detail. Each department has its different way of interpreting data so Data warehouse should be able to answer each department queries. This can be achieved by designing tables in 3NF form. According to him data in Datawarehouse should be in 3NF and lowest granularity level. The data should be accessible at detailed atomic levels by drilling down or at summarized levels by drilling up. He stressed that data should be organized into subject oriented, integrated, non volatile and time variant structures. 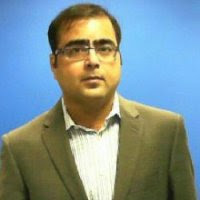 According to him an organization have one Data warehouse and Data mart source there information from Data warehouse. Inmon Approach is also called Top Down approach . In this methodology data is brought into staging area from OLTP system or ODS (Operational Data store) and then summarized and aggregated. After this process data mart will source their data from data warehouse and will apply new set of transformation and aggregation according to their need. 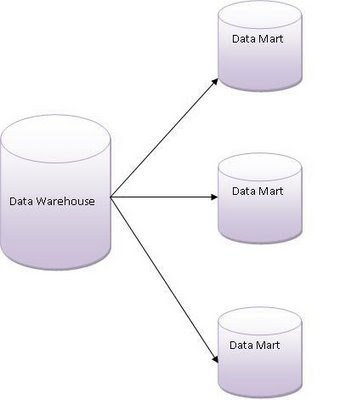 Kimbell views Data warehouse as combination of data marts connected to Data warehouse bus structure.Data marts are focused on delivering business objectives of different departments and Data warehouse bus consists of conformed dimension, measures defined for whole organization. User can query all data marts together using conformed dimensions. In this approach the data warehouse is not a physical storage of the data as in the Inmon approach. It is “virtual.” It is a combination of data marts, each having a star schema design . In this approach data is always stored in dimensional model. 1. Data is always stored in the dimensional model. Inmon vs. Kimball: Same or different? Conclusion : In reality there is no right or wrong between these two approaches. In reality actual methodology implemented is combination of both.